Transcutaneous electrical nerve stimulation is a physical, therapeutic modality used to relax acute and chronically contracted musculature. The TENS unit, in conjunction with adhesive pads placed over the jaw joint, stimulates the facial muscles, resulting in full muscle relaxation and increased blood and oxygen flow. Once the jaw is fully relaxed, proper jaw position can be determined. Over 50% of patients fear anesthetic syringes according to a recent national survey. Some patients get more nervous than others at the mere sight of a needle. Discomfort from a dental shot is mostly due to the feeling of pressure created by the flow of dental anesthetic. A computer controlled injection system called The Wand can greatly relieve this discomfort. THE WAND® doesn’t look like a traditional syringe so the patient’s initial apprehension is minimized. During the actual injection, the development of an anesthetic pathway combined with computer controlled constant flow assures that there is minimal awareness that the injection is even being given. THE WAND® represents the first major technological advance in anesthetic delivery since the syringe was first invented nearly one hundred fifty years ago. This computer controlled “Novocaine” delivery system conquers fear of pain and anxiety. Dr. Abboud gives his patients the highest quality dental care while addressing their concerns about the pain, fear and anxiety associated with standard syringe injections. THE WAND® can be positioned more accurately and has a controlled novocaine flow rate. This provides quicker numbing of the teeth without the usual numbness of the tongue, lips and face. This computer controlled anesthetic delivery system also eliminates that “fat face feeling” that can last for hours. Dr.Danny Abboud has perfected the art of dental anesthesia and provides pain-free treatment. He offers nitrous oxide for relaxation if patients request it. 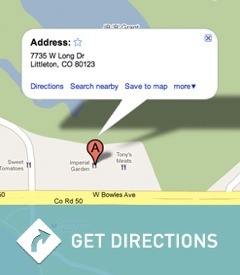 At Littleton Dental we offer digital x-rays for our patients. With rapidly developing technology, conventional dental x-rays are being overtaken by a revolution in digital x-rays. With digital x-rays, images can be acquired instantaneously in the dental office. This process is faster, safer and produces images that are at or above the resolution of traditional film x-rays. These images can be manipulated, enhanced, stored and exchanged for referral and other purposes making them extremely useful and convenient. In addition to the direct clinical and diagnostic benefits, digital x-rays also have the distinct environmental advantage of using significantly less resources and 80% lower radiation dosages. An intra-oral camera is an indispensable diagnostic and educational tool. The tiny video camera moves around inside of your mouth and generates a tooth by tooth video exam of your teeth. Using an intraoral camera at Littleton Dental allows patients to better understand their dental needs by seeing what the dentist sees and then having it explained. With the images produced by the intraoral camera, patients can see their teeth and dentists can indicate problems such as broken teeth, decay, gum disease and defective fillings. Littleton Dental is striving to provide state of the art technologies, and noninvasive treatment modalities, thus we are pleased to include the Dental Soft Tissue Laser (Diode Laser) in our Center.